While visiting London last month, I also found time to pay a visit to the interesting shopping area of West Ealing – home, as you would expect, to a former branch of Woolworths. 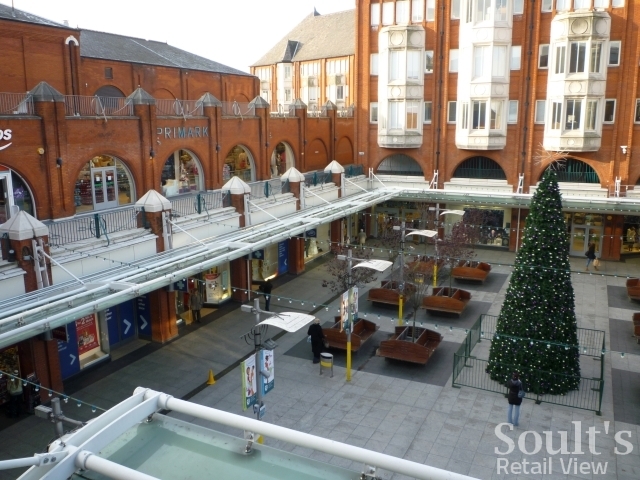 Part of the London Borough of Ealing, West Ealing is today somewhat overshadowed as a retail centre by the much larger Ealing Broadway, just a mile or so down the road. 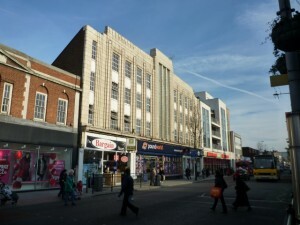 However, the imposing building that formerly housed West Ealing’s Woolworths store (store #239) is testament to that neighbourhood’s own history as a significant shopping centre. 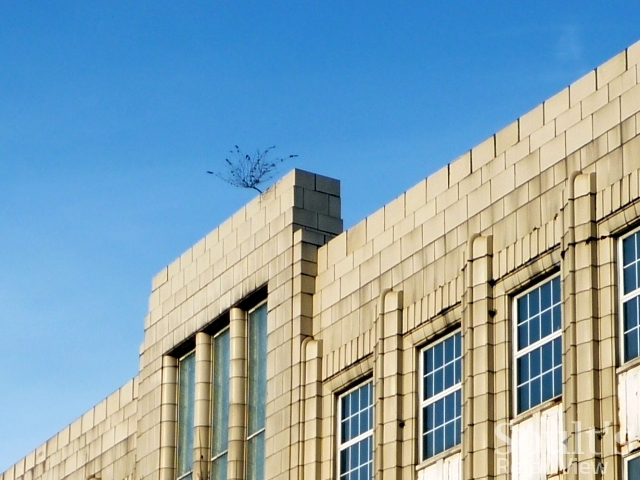 Purpose built as a Woolworths store and opened in 1926, the West Ealing property is just as handsome as those in Oxford Street or Kensington High Street, with a glorious 11-bay, four-storey tiled façade that would make an impression on any high street. The incongruous sight of a tree growing out of the building’s pediment is a poignant symbol of the property’s decline over the years. While Woolworths would have originally occupied the full frontage, the store was just a fraction of its original size by the time it closed on 30 December 2008. Superdrug – part of the same Kingfisher conglomerate as Woolworths between 1987 and 2001 – still trades from the right-hand portion of the store that was carved off for it in the 1990s. The left-hand part of the property was, until recently, a small branch of New Look; when I visited, the unit was temporarily in use as ‘The Bargain Store’. 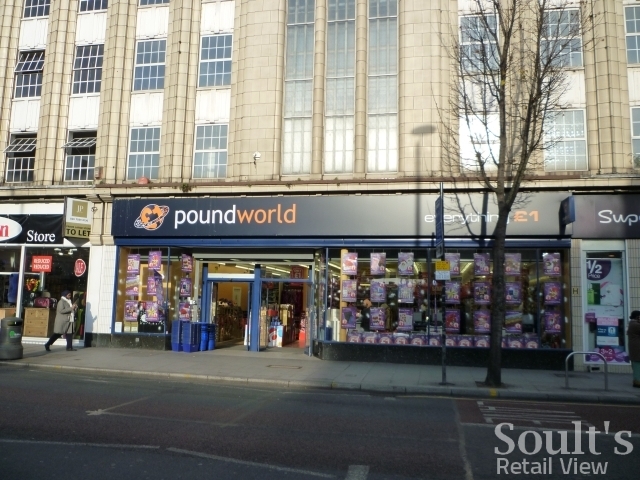 Meanwhile, the section latterly occupied by Woolworths was taken over in late 2009 by the Leeds-based single-price retailer Poundworld. 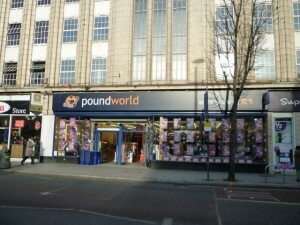 Though it is arguably less well-known than either Poundland or 99p Stores, Poundworld has grown rapidly in recent years to become the UK’s third largest single-price retailer, with just over 100 stores now compared to the 33 that it had five years ago. Apart from West Ealing, the retailer has also taken over former Woolies sites in Castleford, High Wycombe and Nottingham’s Victoria Centre, with the latter reported to be – at 12,500 sq ft – the chain’s largest store to date. Waitrose – a retailer whose presence in a retail centre is just as iconic as that of M&S – operates from a very large, recently rebuilt store in Alexandra Road, though its location, slightly away from the main shopping thoroughfare, presumably restricts the flow of Waitrose shoppers’ trips to West Ealing’s other, smaller retailers – which is a shame. Where Ealing proper has big names and the shiny Ealing Broadway mall (anchored by Primark in premises that used to be Beales), it’s easy to envisage a future where West Ealing provides a complementary, food-driven offer that celebrates the area’s independence, cultural diversity and soul. Incidentally, just as I had to pay a return visit to Kensington to locate the area’s original Woolies, it looks like I’ll have to pop back to Ealing sometime to photograph another old Woolworths that I missed. Walking from Ealing Broadway to West Ealing, I managed to go straight past the former’s old Woolies branch in New Broadway without even realising it. Now occupied by Iceland, the property has no architectural clues of ever being a Woolworths, but was a comparatively early store (#74), opened in about 1916, before closing down (as I understand it) a couple of decades ago. In between, one of its claims to fame was being converted, in the mid-1980s, to Kingfisher’s experimental Kidstore format – a specialist store for children, based around enlarged ranges of clothes, toys, books and confectionery. Though the Kidstore concept was never rolled out, its relative success underpinned Woolworths’ later investment in its Ladybird and Chad Valley children’s brands – two parts of the business that were successfully resurrected after Woolies’ collapse under the new ownership of Shop Direct and Argos respectively. Yet another example of how every old branch of Woolworths has an interesting and unique story to tell – not just about the changing fortunes of its location, but also about the ups, downs and experiments of the Woolworths business as a whole. Ealing Broadway re-opened as store 1149 in the summer of 1989 after the Kidstore trial came to an end. It traded as a ‘tight focus’ store selling only confectionery, entertainment and kids. There was no home, kitchen or garden. Sales were poor, and the stores life as 1149 was short-lived. I grew up living in Ealing in the 1950’s. Ealing Broadway was a great place for shopping but West Ealing had more of a buzz perhaps because the pavements were narrower there. It used to be packed on a Saturday afternoon. The Woolies that you mentioned was huge, with the old style British Home Stores one side of it and Marks and Spencers the other.We would walk there from Ealing,along New Broadway, past the big houses now replaced by office buildings and then the shops began. I particularly remember the Sports Shop, Bensteads the record and music shop, Daniels the department store and past the traffic lights and the park was Rowses a bigger department store and the shop with the biggest queues was always Parkers the bakers shop. There were also some market stalls filling the gaps left by bombing probably. We would go home on the trolley bus,607. Happy Days. For ages I’ve been searching for the name of the old toy store that was in Ealing Broadway in the 80s. Being a kid then, I only vaguely remember it, but now know it was called the Kidstore. It was a great idea and annoying they never carried it on. I always thought, although the film came out in 1988 after this store opened, that it was trying to be like the store in the film Big. I now remember (after finding an image) the big calculators and if I remember right, just like in Big, they had the big floor piano. Moved away from Ealing in 2004 to the coast. Now looking back at West Ealing since then, it’s shocking how downhill it’s gone. All the big stores have gone. Can’t believe McDonalds has now also gone. But then I guess the trouble from the scummy estate just round the corner probably didn’t help. Waitrose is still doing big business. As someone who worked there I knew it use to make a tone of money. It was never designed to take as much money as it did each month. Hence they ended up knocking down the store I worked in and built a brand new, bigger one. Ealing Broadway I think is still OK and the Water Glad centre had the unique, for Ealing anyway, Glass Lift and moving platforms when entering the building. Was cool. I am surprised you have not mentioned the presence of Lidl in West Ealing. This retailer, no doubt, has made a positive contribution to the image of West Ealing. I disagree with Gabriella. West Ealing does have the amazing feel of a “lived in” high street. There are alway people going places which makes it great for traders. I say. I don’t think I spotted it, though I note that it’s opposite Wilkinson. 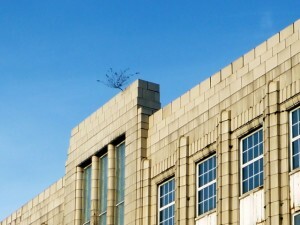 I guess I was too absorbed in the lovely Woolworths building!